Two people get along, comfortable is very important. This is the case with loved ones, as well as friends and family. 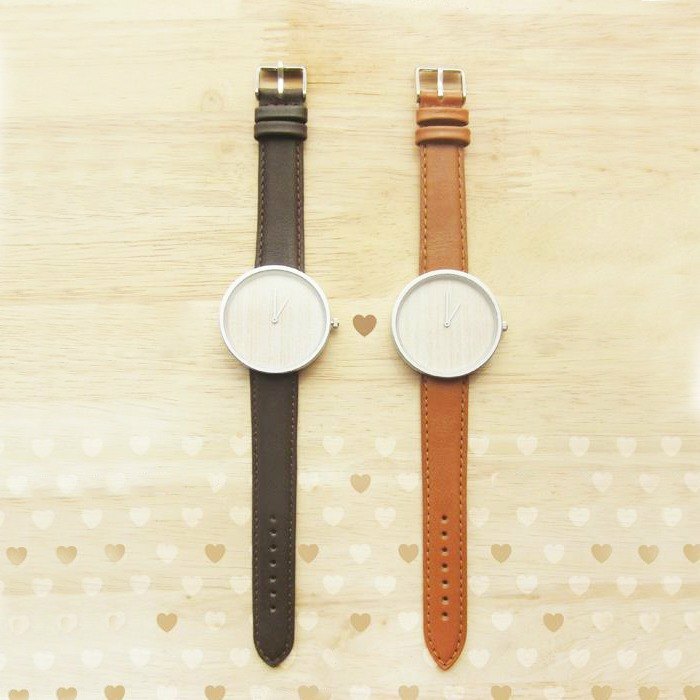 https://c1.staticflickr.com/5/4471/26329759829_12ea505bbb_o_d.jpg Looks like the color can be worn reference series, watch design is the same style, only the strap color is different, the two together is a series of dark coffee and light coffee strap with >> https://www.pinkoi.com/product/KwmjjvJz?category=2 - - - - - - - - - - - - - - - - - - - - - - - - - - - - - ☺ Product Description - - - - - - - - - - - - - - - - - - - - - - - - - - - - - ☀ Dimensions: 3.8 cm (mirror diameter), 0.4 cm (thickness), 1.8 cm (strap width), 22.8 cm (strap length, with movement, clasp) ☀ Material: Ash (surface), genuine leather (strap), tempered glass (mirror), matte feel matte plated metal (case), stainless steel (back cover) ☀ Movement: Japanese quartz movement ☀ Packaging: kraft paper + wooden drawer packaging (giving away gifts are not Oh!) ☀ Warranty: 6 Month Warranty (excluding batteries and other human damage) Origin / manufacturing methods Origin Thailand handmade handmade by Mink in Thailand ※ Note Because of the use of logs and cortex, you need to avoid the humid environment and encounter water conditions, the rainy day, let the watch at home shelter.